GoldStar Aviation is a general sales agent for airlines companies.The company ‘s operational needs and specific operational structure determined the layout of the offices in 2 separate floors with distinct zoning. 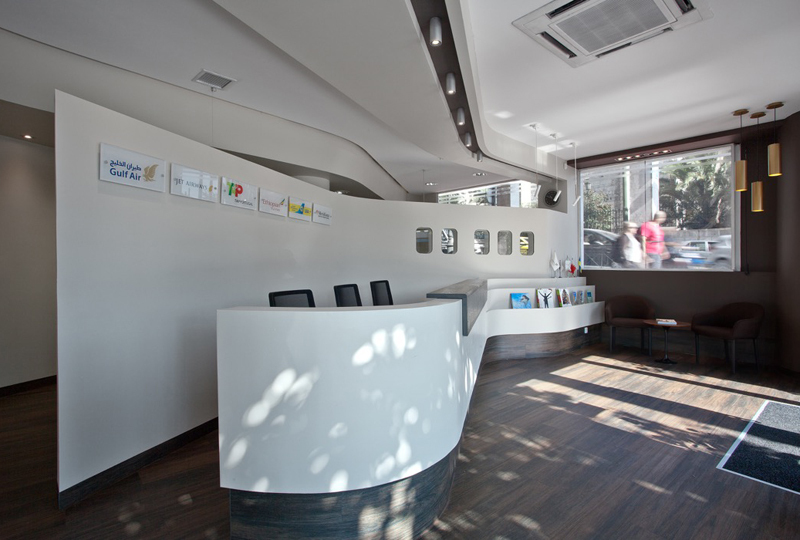 Situated in the heart of the city center, at Filellinon street and Amalias avenue, the offices have direct views towards the National Gardens of Athens and Ymittos mountain to the east. 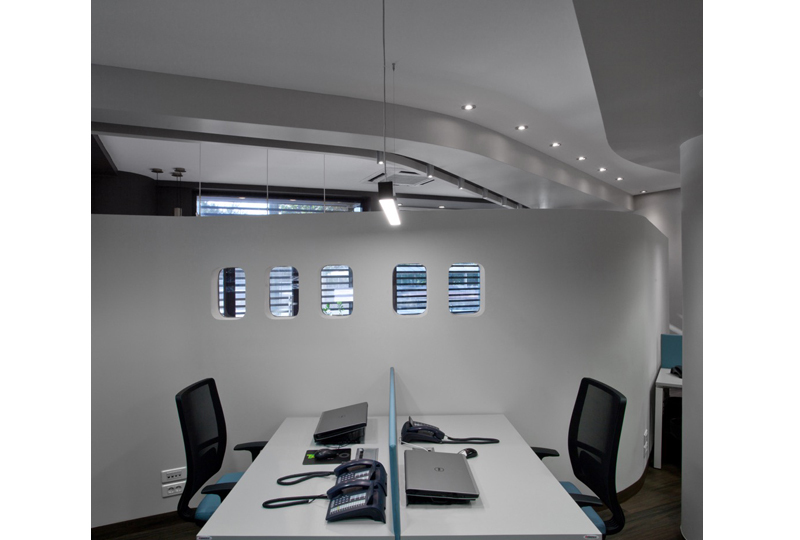 As the company operates in the field of commercial aviation, airflow patterns around an aircraft in air, inspired the layout and design of the architectural elements of the space. 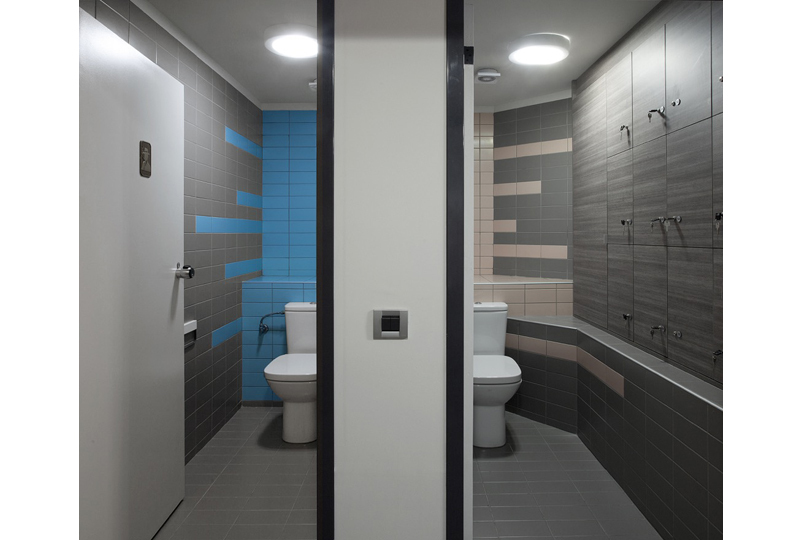 Therefore, lightness and transparency were the key principles of the project. 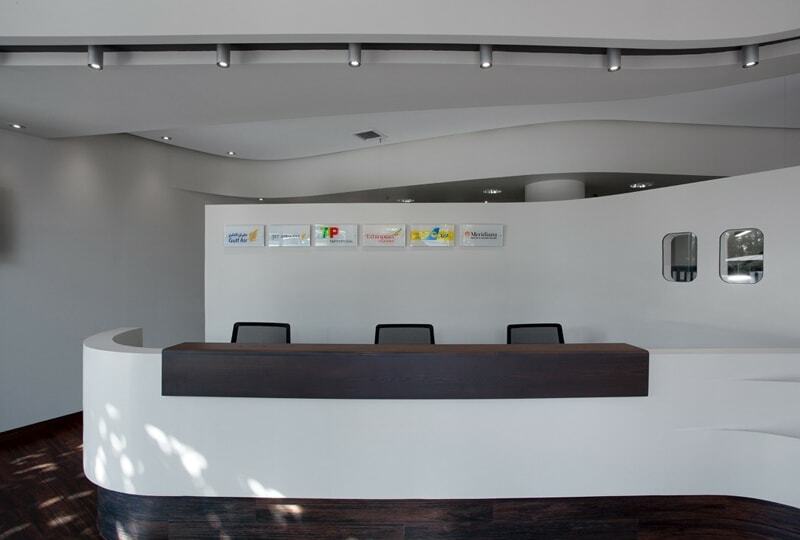 On the ground floor, a long curved wall works as a background “hug” for the curved reception of the company welcoming the clients while simultaneously separates the more public area with the workspace behind. Successive / sequential curved sections of the ceiling travel the gaze towards the depth of the space creating a fluid and soft perspective all through the space, reminiscent of the aircraft interiors. 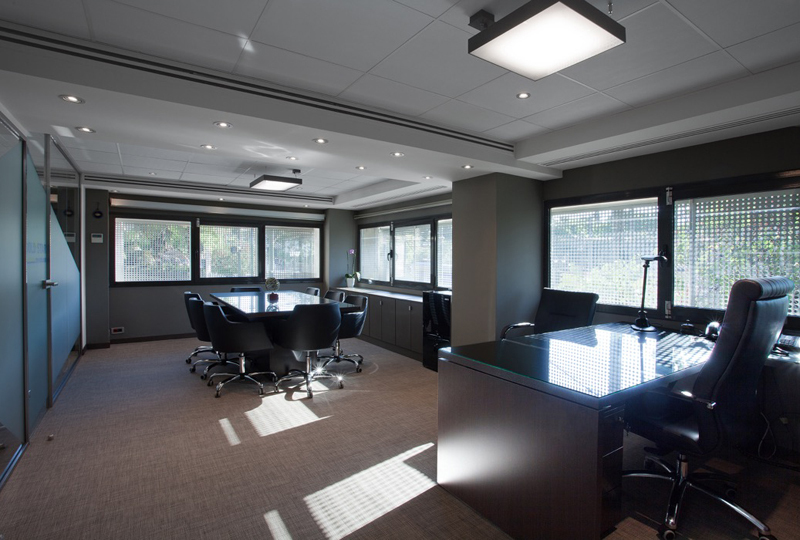 At the back of the ground floor, a transparent glass box serves as a quiet meeting room. In contrast with the ground floor, the upper level is an orthogonal operational box where the administrative core of the company is located. 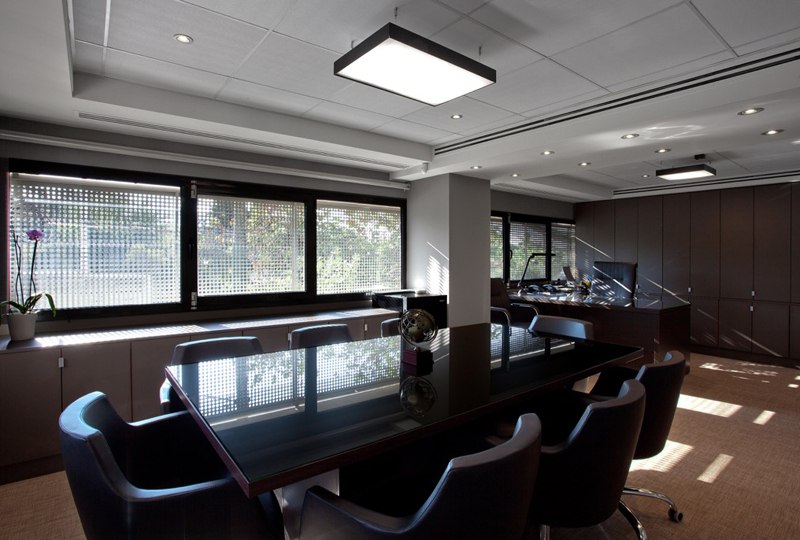 Glass walls separate office spaces, minimizing seclusion and allowing for a continuous sensation of the space. 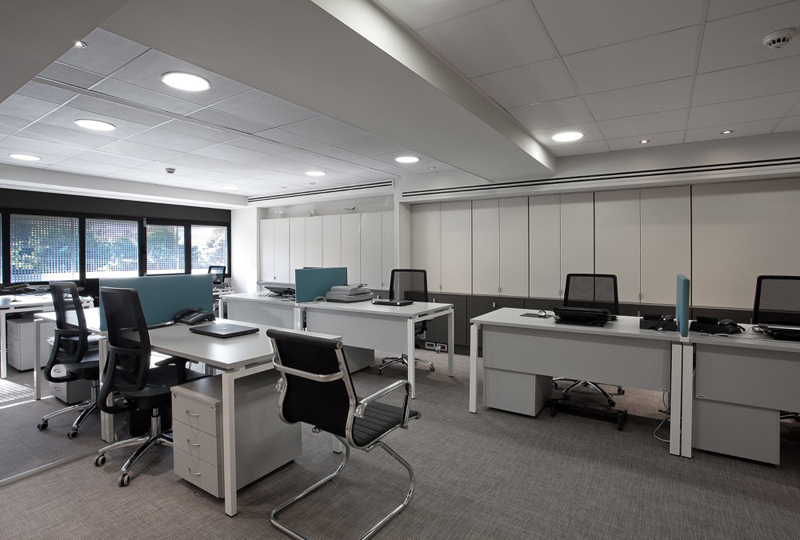 Offices are clearly arranged to allow for visual communication, easy access, optimum circulation and maximum natural lighting. Administration offices are arranged around the main conference room, situated at the prestigious corner of the whole floor, overlooking both the Anglican Church and the National Gardens. Warm off-white colour shades have been used for most of the walls and furniture in combination with earthly grey-brown shades for the floor and storage units. 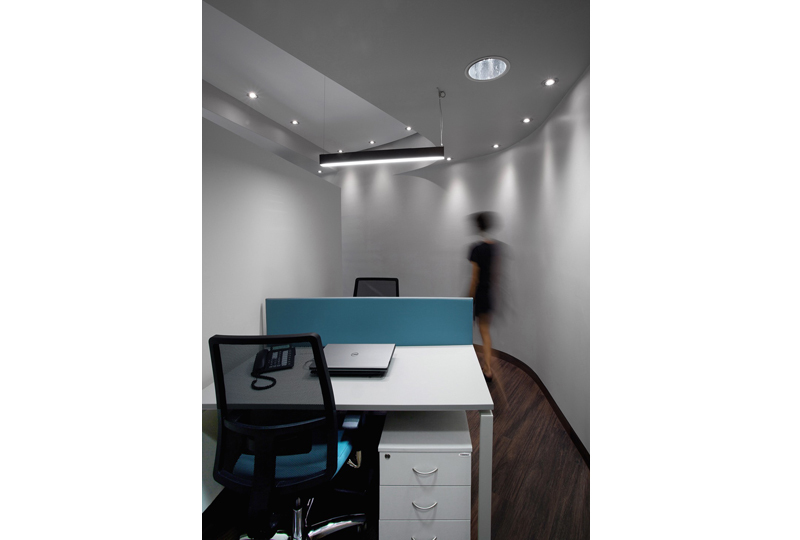 A calm and simple work place, pleasant and ergonomic was the paramount design goal to express the company ‘s solemn and orderly character. A customized perforated metal screen, inspired by airflow patterns, wraps externally the first floor and filters the direct sun light. National Gardens views and city views get graphically formalized, allowing for concentration and providing the needed introversy of the work space. In tune with a city that suffers and protests occasionally, and combined with the graphical metal screen, the security rollers have been graffitied by Achilles, a well known Athenean street artist. On the main elevation, Icarus looks at us as he raises to the sky, while on Filellinon street, big eyes express wonder for the city, the world and the travels. aka lab architects • apex S.A.